Naftali Group’s Two Ten West 77 is experiencing surging sales after a comprehensive redesign of interior finishes and the addition of new amenities. In the past 10 days, 11 units within the 18-story condominium have sold. One of the duplex townhouses commanded $12 million and one of the full floor terraced apartments also sold, leading to a total sales volume of more than $70 million. The 25 luxury unit building is in a prime Upper West Side location, near Central Park, the American Museum of Natural History and Riverside Park, but credit for these strong sales is being attributed to targeted adjustments based on market research and feedback. Spacious, custom-designed chef-quality kitchens now feature Miele appliances, Carrarra Caesarstone marble with Rue Pierre Blanc backsplashes and hand-painted custom Smallbone cabinetry. “Our kitchens are completely made to order, and Smallbone’s unique touch of gorgeous solid mahogany interior drawers and cabinet interiors and beautifully painted white exteriors has really transformed the space. Many buyers who are returning for a second look have been really excited with our new look which has translated to an enthusiastic reception in the marketplace,” said Alexa Lambert, of Stribling Marketing Associates, the development’s exclusive sales agent. Flexible spaces help house a bevy of amenities. Now, there is access to a new fitness room, kid-friendly sports court, movie room, relaxing space for yoga, rooftop terrace with outdoor fireplace and Manhattan views, as well as a spa featuring two private steam rooms and a sauna. The building also features 24-hour doorman/concierge and bicycle storage. Master bathrooms have also been enhanced with Paintec Lacquer vanities, Dolomiti white marble walls, and Waterworks bathtubs. The powder room’s new look is composed of a hand carved Ziva Lotus and Bianco Carrara marble wall, and a lovely white Carrara marble accent on the vanity counter top. Half and full floors feature open layouts with solid white oak-plank floors. Some residences feature outdoor terraces and fireplaces, and every home has a private elevator opening directly into the residence. 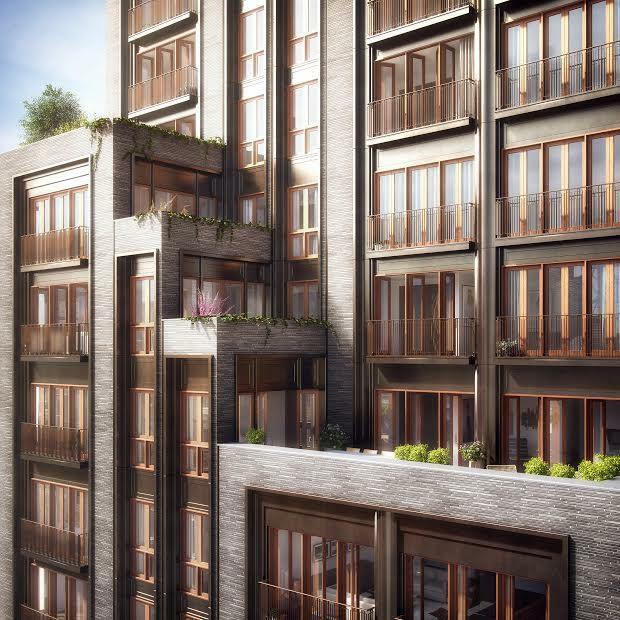 Prices for the 25 luxury residences start at $4.65 million.